So if you are told that a rich uncle had died and left you enough money to repower your boat with anything you wanted, single or twins, what would you repower with and why? 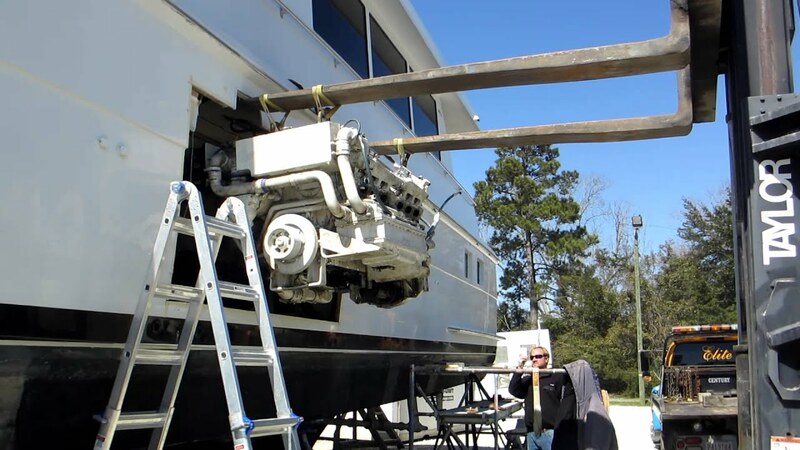 The will stipulated that you MUST use the money to repower your existing boat, not use it for any other reason, otherwise you did not get the money. Would you upgrade your existing with new of the same, go with something else, totally redesign your ER structurally and change from one to two or vice versa. Mr. m. What an interesting question. Hmmmm... Currently have twin 120 Lehmans and weigh about 25t. Go to a single ? With single prop or run twin props? Smaller twins? Originally we were looking for a single but ended up with twins because our particular boat was never offered with a single and I sort of like the reliability/redundancy/maneuverability although I don't find too much added expense with the twins and the scantlings are such that she is NOT a blue water boat. So, added range (currently ~1200 nm I think) would be somewhat wasted. This is a similar question to the "which boat would you buy if your rich uncle..." The answer to THAT question was/would be, same boat but a factory rebuild to as new. I'm afraid I'd have to donate all of it to my favorite charity because I now have Cat 3406C's and love 'em. They're turbocharged and turn out 580hp each and push the boat at 31.5kts if I want yet will idle along all day long at 8kts. I can't think of an engine I'd rather have. 120hp 480v 3 phase electric motor, VFD, generator, inverter and battery bank. Then you would not be donating as you would not get the money. Interesting thought. Ships and locomotives are often diesel electric, so why are recreational boats like those on TF not? Uneconomic? Other reasons? Does that include new tanks and fuel for 5 years?? - Just wondering, and kidding... sort of!! I'd simply get the best new same size engines with maybe a little more hp designed in, such as cam, piston, head increased hp output. I know that same 350 cid engines, in 2017, can turn out a bunch more hp. if desired. Instead of 255 hp. - 300 hp each would be a nice touch! So, with unlimited money available your wouldn't go twin small diesel? If we still had the Fu Hwa, I would remove the Perkins, convert to gasoline and hang a couple of small outboards on it. Remove - Volvo Penta D4-260 & DPH-A drive. Install - Volvo Penta D4-300, gear, and Arneson surface drive. Remove JD 6068 twins 201HP each, Twin Disc 506 gears and 30 x 28 3 blade props. Install JD 6068 twins 400 HP each, Twin Disc gear with sufficient rated capacity and 150 kW electric motor/generator on each shaft, and Hundestadt CPP 4 blade props. I could happily run at up to 10 kn on one engine, but be using both props. Or I could run both engines and likely get to around 20kn. Occasionally. The problem with Gardners is you HAVE to polish all that metal. No choice. Money no object? Steam engines please!! (2) I would like the quiet and smoothness. Some kind of tidy burner system burning diesel. I think a fresh pair of Cummins 6BTA 370 Diamond factory refurbs done the "Seaboard Way" would put a big smile on my face. 25+kts cruise and 30+kts on the pins, but smooth and quiet at lower speeds all day long when needed. I prefer the simplicity of mechanical diesels. That's what my uncle told me he wanted me to do just before he passed . . . . really, he did. Besides, that way there will still be something left over for my brothers and sisters too. How would I get the engine out would be a question I would need answered first. Easier and cheaper to rebuild in situ if the original motor was the right choice. Its a toss-up between old school slow revving Gardner, and new school all electric system.